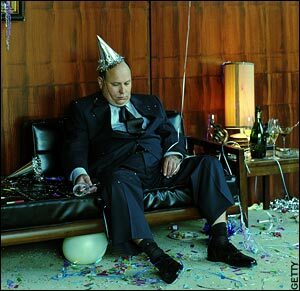 With the holiday season fast approaching, it’s time to refresh ourselves about the potential hazards of the office party. Chances are you’ve been discussing when and where this year’s party will be and how great it will feel to finally relax after a busy year and celebrate with your co-workers and clients. Too often we hear stories of Christmas party nightmares and the after effects both personally and professionally. One bad judgment call could lead to your name and with social media in the mix now, easily accessible pictures of yourself plastered across the internet for all to see, (and you know they will). This year we would like to offer some [obvious] tips on how to have a great time at your work Christmas party without tainting your career and professional reputation. Drinks: There’s most likely going to be plenty of, [and free] drinks at your party to ease you into the nights proceedings. Do: Moderation is the key. Spread your drinks out and follow-up with a water chaser. You might find you will avoid that dreaded hangover the next day and keep yourself in check. On a more serious note, many businesses and organisations have an alcohol policy, which means if they’re hosting the function you must abide by their rules. Also, leave the car at home. Take a cab or public transport with your co-workers and stay safe and ready for 2012. Don’t: The last thing you want to do is let fly with a comment or an impromptu dance off in front of the CEO or other professionals in your industry. By keeping things in moderation, you can avoid any regrettable actions and a discussion [or worse] with your manager the next day. Do: Mingle with not only your co-workers but others too, it’s a great time to make connections and share your stories, but, leave the shop talk at the door as it’s an opportunity to network and you never know who you will meet. Keep it professional and have a good time with new friends. Don’t: Get too social and close with your superiors and clients and certainly don’t over step the boundaries by telling them what you think. Your ‘confidence’ levels might rise during the party [a drink or two will do that] and the last thing you want is to over step the mark or say something you regret the next. Do: Keep it professional. Unless the party has a specific fancy dress theme, wear your regular business attire or smart casual, you can do so and still be classy and feel good about yourself. Remember what you wear reflects who you are. Don’t: Remove your clothes or part thereof or wear an inappropriate outfit. The last thing you want is to be the centre of a gossip story and be ‘that girl’ or ‘that guy’ who…. At the end of the night [or day], it’s all about having a great time and enjoying the festivities. If you follow these simple tips, you’re sure to have a fantastic time and strengthen your professional relationships. Your work Christmas party should be a night to remember for all the right reasons. Have an enjoyable and safe Christmas and New Year’s.